News — NEW ENGLAND AIRFOIL PRODUCTS, Inc.
HARTFORD – U.S. Senator Chris Murphy (D-Conn.) announced on Monday that New England Airfoil Products, Inc. (NEAP) of Farmington is this week’s “Murphy’s Monday Manufacturer.” George Einstein, the nephew of Albert Einstein, founded NEAP in 1955 as a small machining company. Since then, the company continuously expanded its services and capabilities, and today, NEAP manufactures gas turbine products for air, sea, and land applications. NEAP specializes in tight tolerance machining of products made from nickel-based alloys, stainless steels, titanium, and aluminum. With the help of 85 employees, the manufacturing company serves customers in the aerospace, marine, and industrial gas turbine markets, including NASA and the U.S. Air Force. They have also furnished gas turbine products for some of the most renowned manufacturers, including Honeywell, Pratt & Whitney, GE, Rolls-Royce, Mitsubishi, and Solar Turbines. The manufacturer’s 100,000 square foot Farmington facility has capacity to produce hundreds of thousands of parts per year. NEAP is certified under International Traffic in Arms Regulations (ITAR) and exports products to customers around the globe. Earlier this month, NEAP participated in the Aerospace Component Manufactures’ Trade Show and Workforce Fair where they networked with potential customers, partners, and suppliers, and spoke with roughly 1,000 students who are interested in launching careers in manufacturing. The manufacturing industry plays a crucial role throughout Connecticut communities, creating new jobs and accelerating our state’s economic recovery. Today, Connecticut’s 4,600 manufacturers account for 10% of the state’s jobs and 87% of the state’s total exports. 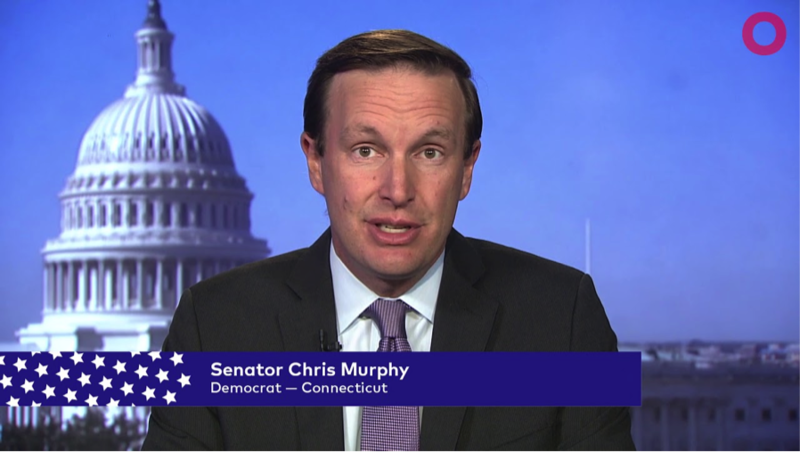 In order to protect and grow manufacturing jobs in Connecticut, Murphy has introduced two pieces of legislation that aim to strengthen existing standards and prioritize the purchase of American-made goods, the BuyAmerican.gov Act and the American Jobs Matter Act.